The groom feeds a giraffe a piece of romaine lettuce as the bride nervously watches. 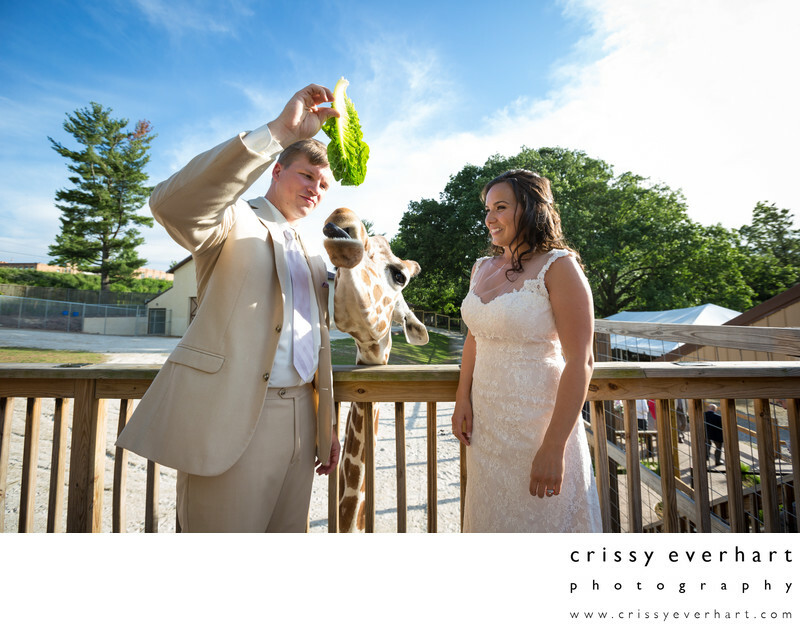 Their wedding took place at the Elmwood Park Zoo, and giraffe feeding is included!! The guests all loved it, but the groom may have had the most fun!